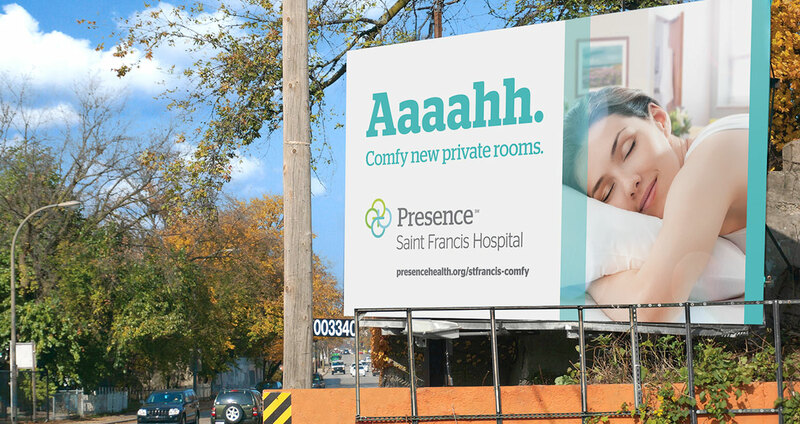 In the face of escalating competition, Presence Saint Francis Hospital was looking to step up their image and their bottom line by attracting new patients. The solution? 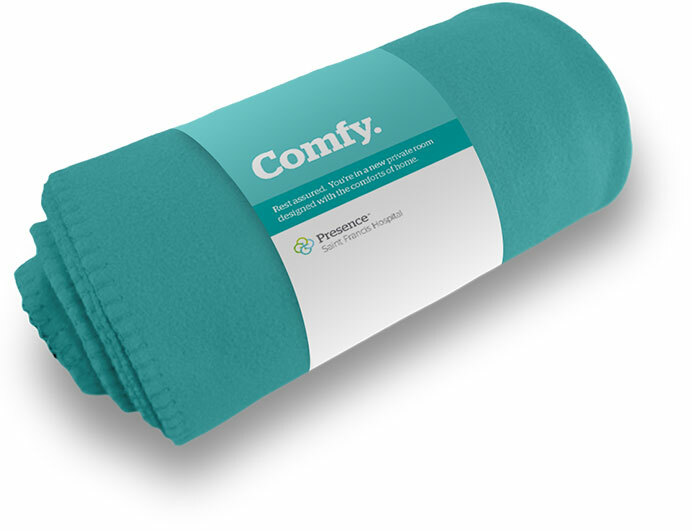 Revamp the patient rooms with an emphasis on comfort and privacy. Our job was to get the word out. 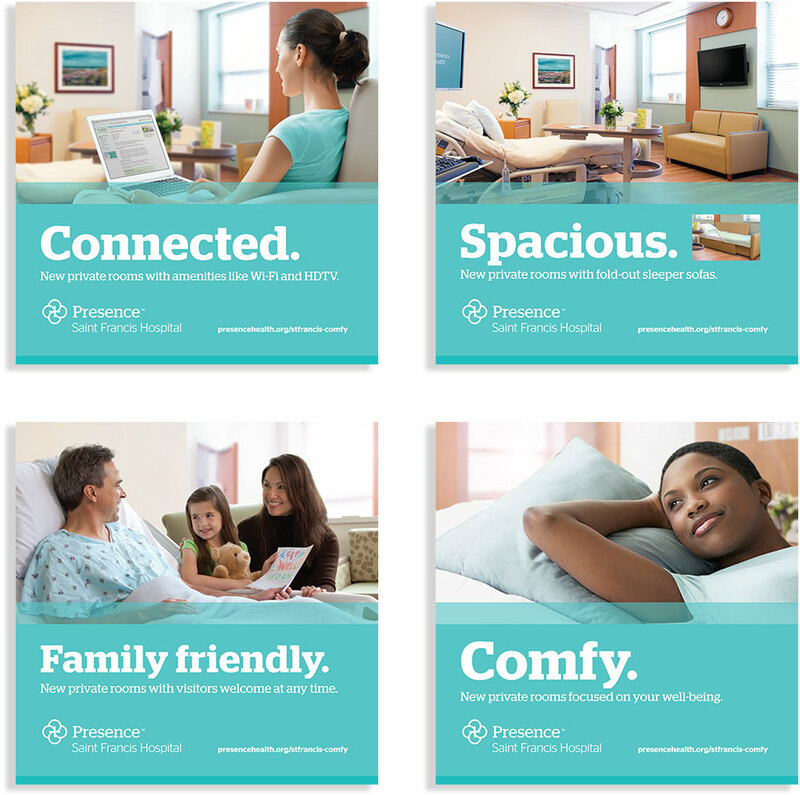 We created a full range of collateral with warm, light-filled imagery that evokes relaxation and comfort—all aimed at shifting the mindset from the traditional view of a hospital room to a hotel-like atmosphere. 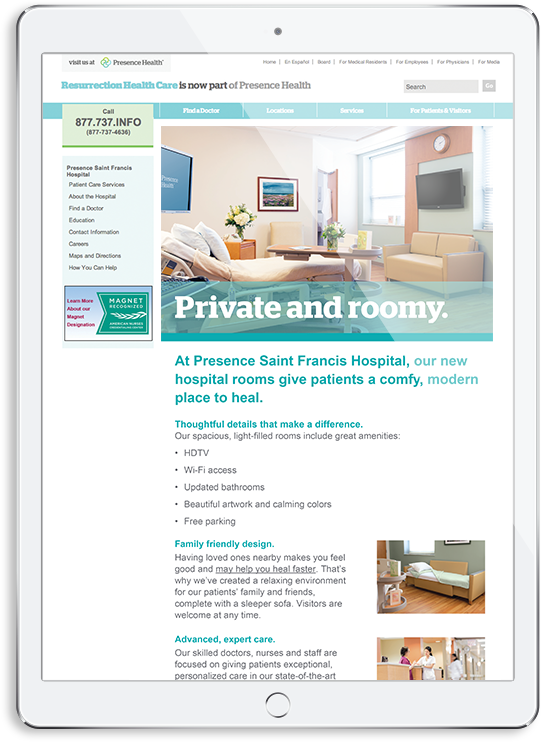 Our strategy was to elevate the community hospital’s perception with a hyper-local approach that included bus shelter ads, billboards, banners, posters, print and online ads, as well as collateral for physician offices plus a website.